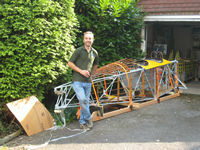 Living the Dream - I have bought a Great Lakes bi-plane. 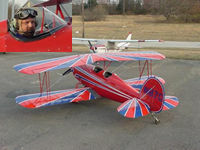 I purchased my Great Lakes 2T-1A-2 from Mark Wood in America formerly N3613L (known as Dreamcatcher), which is now registered in the UK as G-GLII. This aircraft will join the UK fleet as the third factory aircraft on the UK register. I had been flying for exactly 10 years on the day I bought the Great Lakes and this is my third aircraft. My first aircraft a Cessna FRA150L made way for the Great Lakes - and I also have a Vans RV7 which I have recently completed construction of and was looking for a new project. I had thought of a Vans RV8 when I discovered 13L via the internet after my interest in the type was re-ignignted following an evening rib stitching a plans built Great Lakes being built by a friend David Graham. Mark was selling 13L in a dismantled state after a section of top covering detatched above the fuel tank and collided with the tail and damaging it. Fortunately, he was able to fly back and land safely to discover the extent of the damage - he then decided to commence a full restoration. However personal circumstances forced him to abandon the project and I flew over to Phoenix where I purchased 'Dreamcatcher'. My Great Lakes has arrived in the UK my inspector has been to visit and I have my application into the LAA to place it on a Permit to fly. My restoration diary follows the restoration process step by step - Like my Vans RV7 project diary (see 'Previous Project' below). New project has arrived in my workshop - pictures soon. Project Status : May 2011 - Inspection complete, awaiting paperwork from LAA. (Over 5'700 pictures of restoration). Links to parts of this site & others. Supplier sites/links (opens new window). Av Buyer - Aircraft for sale. 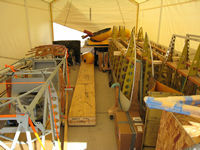 Great Lakes Aircraft and Parts for Sale. Here are some Great Lakes aircraft (and related) parts for sale. 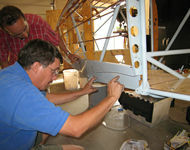 LAA Aircraft weight & balance service. Updates listed here except Restoration Diary is updated almost daily. Reassembled and inspection passed, awaiting paperwork. I move my Great Lakes to the hangar. Milestone in the project, engine refitted. 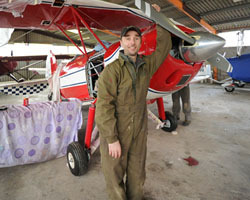 Hampshire LAA aircraft weight and balance service. More Great Lakes added to owners pages - Series I & Series II. Replacing the original Great Lakes fuel valve with an Andair FS20x1-M. 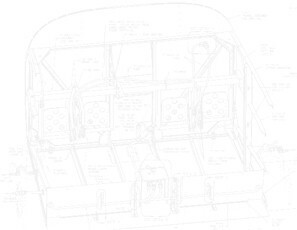 I am thinking of fitting a rear cockpit canopy. More aircraft added to owners and their Great Lakes, Also two aircraft to Aircraft and PARTS FOR SALE page - mail me if you would like to add anything. To help owners source parts for their Great Lakes I have added a PARTS FOR SALE page - mail me if you would like to add some parts you have available. Created first and second generation Great Lakes history/owners pages. Updated YouTube video links (on this page) - Rebuild diary being updated almost daily. Update help page & supplier links. Added video of me flying Great Lakes at Chandler. Update Restoration Diary Pages. I have some restoration questions, can you help? Container with my Great Lakes has arrived. Also see my August '07 news email/page. 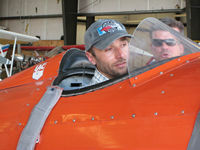 More pictures of Andy and me packing 13L in Phoenix. More pictures of me flying Great Lakes at Chandler in Phoenix. First flight Roberts Great Lakes G-BUPV. Pictures of the crates we built for 13L in Phoenix. Great Lakes instrument panel pictures. Cover panel pictures. Andy and I travelled to Phoenix to pack the Great Lakes. Pictures while Mark owned N3613L. 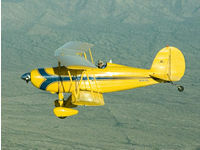 I purchased my Great lakes 2T-1A-1 from Mark Wood in Glendale AZ. Here are some pictures he took while he owned Dreamcatcher. N3613L was built in 1978 and went into service with ATCA in Goodyear Arizona (Operated by Lufthansa to train pilots) - if flew for approx 2200 hours. 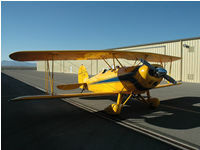 It was sold in 1988 to Jerry Pilot who operated it in the Phoenix AZ area until he moved to New Mexico in 1997. Mark Wood purchased 13L from Jerry Pilot in June 2006 and would have kept it for longer had he not had problems with the cloth covering. Mark named this aircraft dreamcatcher, the name sums up what it meant to him, I know that selling this has been a very tough decision for him and because of that, meeting Mark and his family, experiencing their hospitality and knowing what Dreamcatcher meant to him has made this a bitter-sweet experience for me. I don't know what the final name will be, however, throughout, the restoration and as a tribute to a really nice guy, I am keeping the name of Dreamcatcher and Mark will not be far from my mind in this project. Mark started the re-covering process and dismantled 13L, unfortunately his personal circumstances changed and he decided to sell the aircraft - I purchased the aircraft in a dismantled state. Here are the pictures Mark took while he dismantled 13L. My brother Andy and I travelled to Phoenix to purchase and pack 13L into a container to ship back to England. It didn't go as well as we had hoped it would. A quick breakdown of significant events on the project. Receive a phone call from Francis at PFA to say CAA have granted permission to go onto Permit to fly. Now awaiting paperwork from PFA. Sent my application to PFA to have the Great Lakes put onto a Permit to Fly. The container arrives from Phoenix, and I unpack into the workshop. Finally the covering chemicals are dispatched from the US. Great Lakes is packed and container departs Falcon Field WITHOUT the recovering chemicals. Phoenix DAR recovers 13L from Marks workshop and moves it to a secure area at Falcon Field airfield ready to pack into a container. We leave Phoenix and the container to ship 13L has not arrived. 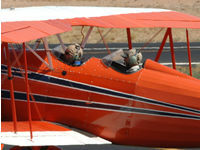 Andy and I fly to Phoenix Arizona, and I purchased N3613L. I visit David Grahame and help rib stitch, this reminds me how much I like the Great Lakes. The following day I discover Dreamcatcher for sale on the internet. UK Flight planning & weather data. French Planning & Airfield Data. Spanish Planning & Airfield Data. Other Planning & Airfield Data. Prior to going to Phoenix to purchase 13L, I discovered Chandler Air Services at Chandler Municipal had three Great Lakes available for training flights, so I booked a flight for Saturday 16th June 2007 - 10 years and one day since I took my very first flight (as a pilot). I took to the air in N3810F, one of their Great Lakes. What a great hour I had, carring out five take-offs and landings. We also went to the aerobatics area and I did three rolls and a loop! My previous aircraft experience has been the construction of a Vans RV7. 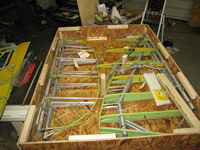 I finished the construction of my RV7 in November 2006, having had a really enjoyable time working on the aircraft and documented every step on 'My RV7 Project Diary' on my site www.go-7.co.uk, I wanted to find another project. Discovering Mark's Great Lakes for sale in Phoenix I quickly started my research into the practicallity of moving the Great Lakes onto the UK register. The restoration took from 2007 - 2011. My workshop was only empty for a month and I now have another project - a Vans RV4. Copyright © 2007, 2008 GreatLakes2T .co.uk All rights reserved. All pictures are property of GreatLakes2T (unless noted) please do not reproduce. For more information contact webmaster [at] greatlakes2t .co.uk This site is NOT the official Great Lakes Inc site. The contents of this site are the opinion of the author, not LAA(PFA), FAA or CAA. Please check all information is correct before you act upon it.